A beautifully shaped and comfortable Italian Mid Century sofa by Paulo Buffa. 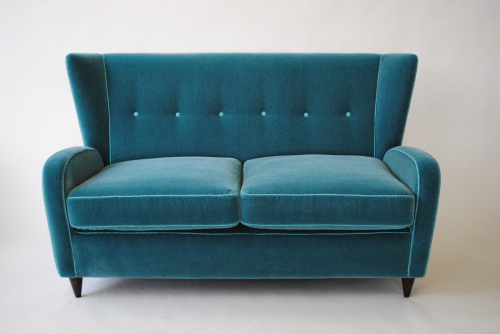 It has been reupholstered in luxurious `Aqua` mohair fabric by Le Lievre, this wonderful fabric is so soft to touch and also very practical. The buttons and piping are in contrasting fabric. This really is a stunning piece.